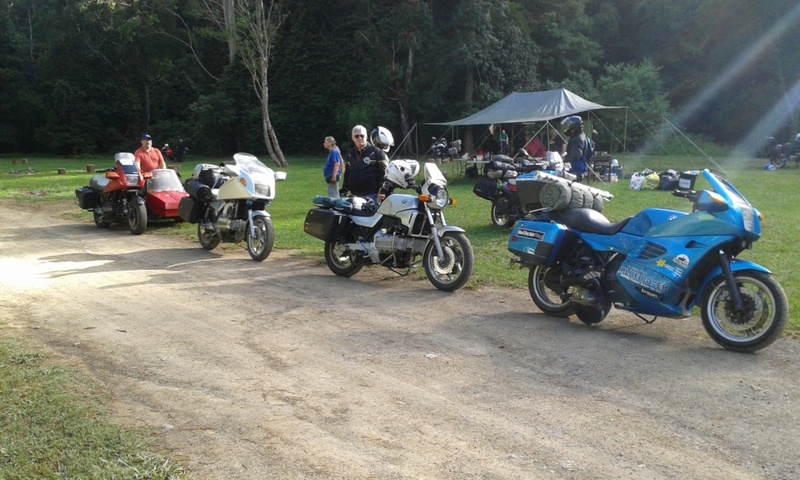 The BMW Touring Club of NSW will once again be holding the Karuah River Rally. All are welcome, it's not necessary to be a club member or ride a BMW (just no cars OK, it's a motorcycle rally). 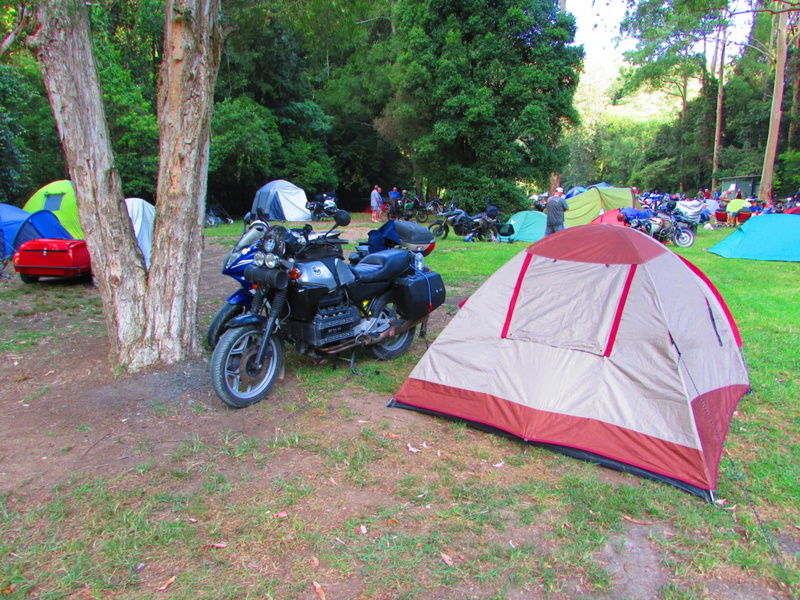 Location is the Frying Pan Creek campground inside the Chichester State Forest near Dungog NSW (last spot for any supplies). There is a fabulously well maintained dirt road to the site. There will be basic catering available for Sat night and breakfast is free on Sunday morning(as long as you buy a badge). BYO Grog. 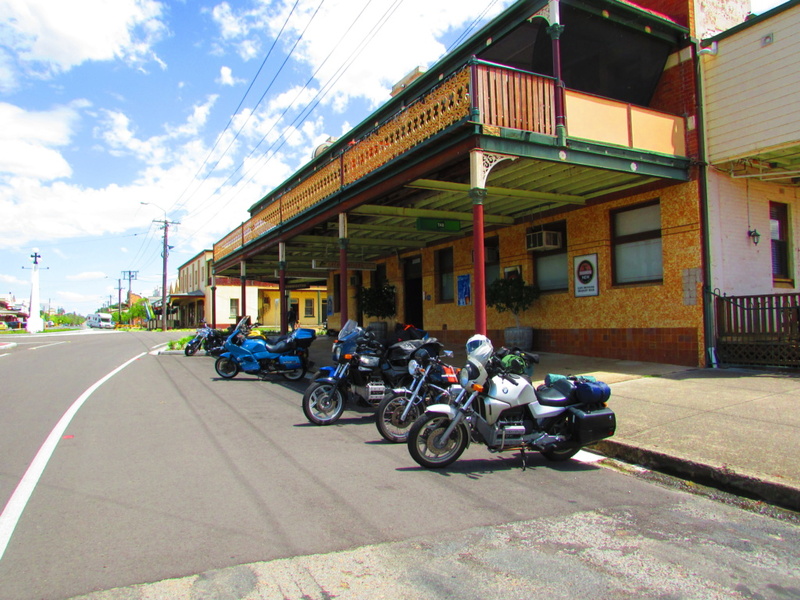 Final navigation instructions are available at the Bank Hotel in Dungog. It's a great green site, swimming holes are available, the leeches are very friendly etc. In the occurrence of an extreme weather event if the Forest is officially closed we may have to move to Dungog showground (it has happened once). It's a great way to start the year off, be there if you can. Dog friendly site too! Have you got the bagpipe tapes ready Al ? @Pegasus wrote: Have you got the bagpipe tapes ready Al ? I believe a survey run has been conducted in preparation... any news Al ? 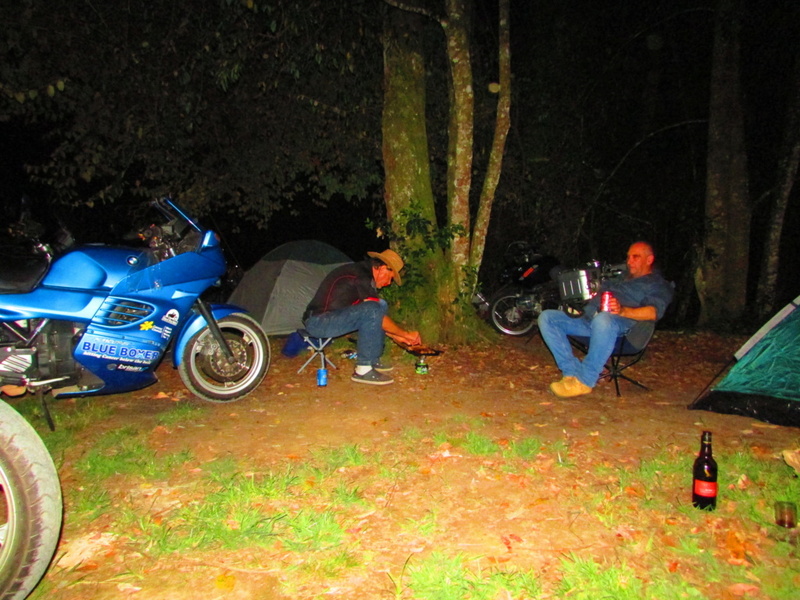 recently local temps up here have been hot for this locality with riding temps in the mid 30s ...and not too bad at all ...with the cooling breeze and over night change a welcome relief ….but down in that valley ...who knows !!! I am hoping to make it but still busy enjoying the Thai "cool season". I get back to Sydney 6th so if all goes well the K100 will fire up and take me there! Recon run is mostly just to inform/remind businesses to be ready for our influx. That raised no issues. Other than that it's a get together. Long range weather Marie tells me is for 20s-30 with possibility of precipitation. I also wont be there if its over 40. Hope to see you there Charlie. hope to catch up with many of the k bike and other fraternity attendees … that we have met over the years ...and some of the hunter crew ? whats he riding to the event ….might help find him eh? That'll be easy Charlie. Lovett runs the KRR. Will be 'riding' a crewcab LandCruiser to carry supplies from town. Often seen at the presentation a bit under the weather and rambling about The Who.  There are various BMWs at home. I've been on many rides with Rob since meeting him in the mid 90's. He's good company. And he does like a long ride. I've yet to convince hime about the qualities of K-bikes though, he's firmly in the Boxer camp. As I recall that man Lovett was last seen aboard a bumblebee looking (black & yellow) Suzuki !!! @Gaz wrote: As I recall that man Lovett was last seen aboard a bumblebee looking (black & yellow) Suzuki !!! Great news Waz, but can you not use so much paper when you type it in . 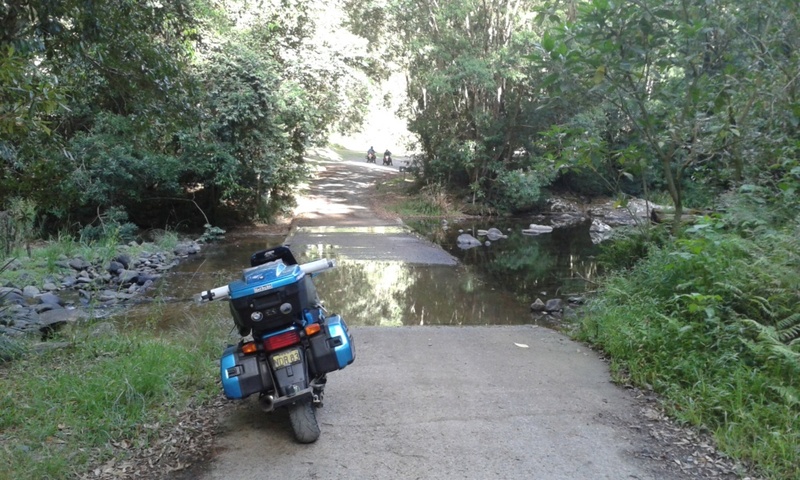 Is anyone riding up to Karuah from Sydney? I think I can not get away until Saturday morning. 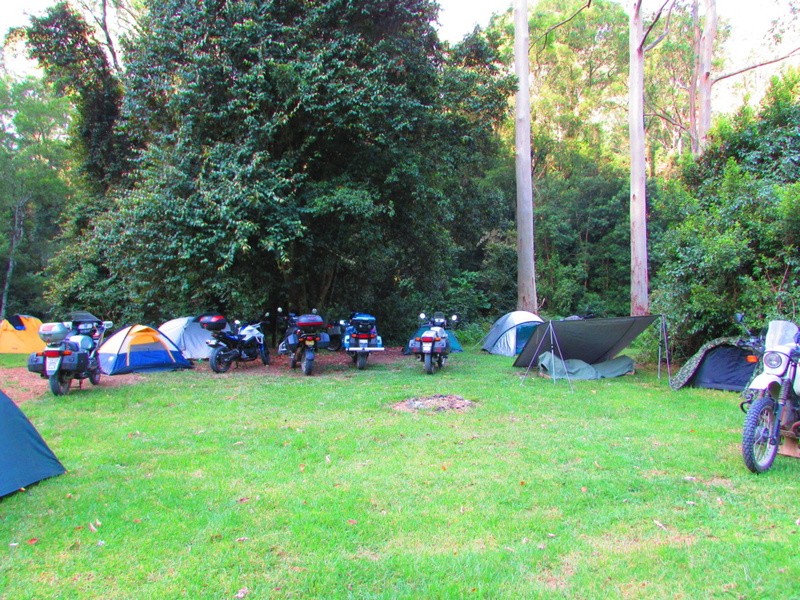 I am on Northern Beaches planning to ride my K100. Mostly packed now, on the road north tomorrow. Brekky at the Grey Gum Cafe looking likely. Good to see your excited, excited, excited, excited Waz. @Michael Sydney wrote: Is anyone riding up to Karuah from Sydney? I think I can not get away until Saturday morning. loving the stutter Waz ...a little bit excited eh ? happens to me also ...might explain why I get little sleep before our group meets ...giggles fortunately have a better sleeping bag these days and at least I don't freeze ..so much these days better than lying on a cold floor eh ? ah! memories of scrapheap challenge ….. btw its to be held at Byron this year ...along the seashore ...bliss !!! think ill attend just for giggles ...perhaps the red frame will comply with the purchase rules ???? will be leaving the tablelands about 9.00 ish saturday after it warms a little … lunch in dungog about 1 ish ? I'll be stopping at Paterson on my way through , as I need to inform the Store/ servo of our intended Black Dog Ride in March . Not sure what time yet . Expecting 37 degrees. Strong chance of rain . It was great to see everyone there. I hope everyone had an enjoyable and safe trip home. Thanks Al , we sure did . It was great to catch up with some of the Krew .